We select farm fresh green beans and combine them with sweet red peppers, dill and natural spices for a zesty, delicious flavor. 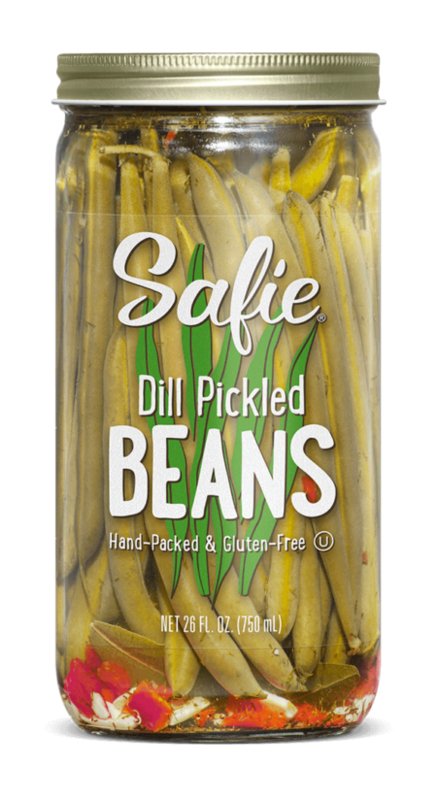 Our old fashioned recipe for dilly green beans is a Safie family favorite, relished for its flavor, color and crunchy texture. Dill Pickled Beans are a party favorite that can be enjoyed on their own or paired with appetizers. Whether you’re tailgating with family or friends or adding a new twist to an old cocktail recipe, our unique Dill Pickled Beans will add excitement to any dish. All natural, Crispy Dill Pickled Carrots that are gluten free with no preservatives. All natural, Pickled Asparagus that is gluten free with no preservatives. Hand-selected Hot Banana Peppers Rings are gluten free and kosher certified.